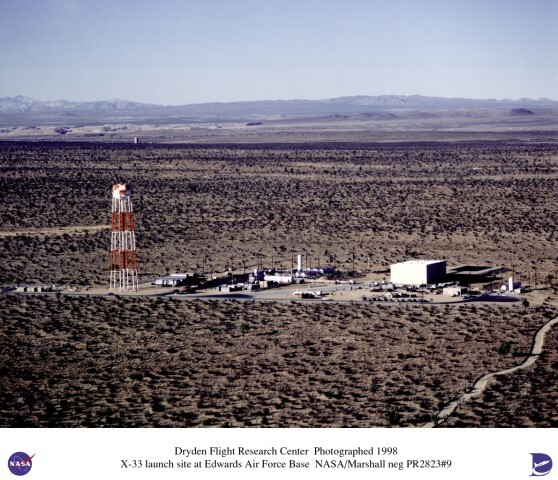 An overall view of the launch pad built for the X-33. The facility was designed to check out, fuel, and launch the vehicle. Although the pad was completed, technical hurtles eventually resulted in the cancellation of the X-33 program.